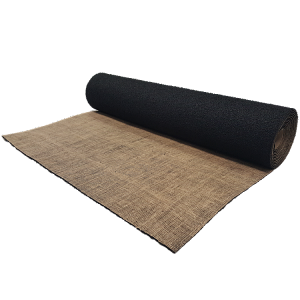 DURA-SON 3.5 mm is a high performance acoustic underlay for laminate and engineered hardwood floors. This product is for condos, hotels, commercial buildings, and private homes. 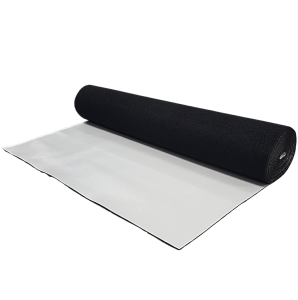 DURA-SON MB 3.5 mm is a high performance acoustic underlay with vapor barrier for laminate and floating engineered hardwood floors. This product is for condos, hotels, commercial buildings, and private homes. DURACOUSTIC 8 mm is a simple but very effective solution to creating floor systems which meet stringent sound ratings. This product is for condos, hotels, commercial buildings and private homes. DURACOUSTIC is also recommended when converting factories into lofts and condo’s. DURAQUIET 3 mm is an acoustical sound control and antifracture underlayment for ceramic and natural stone tile. 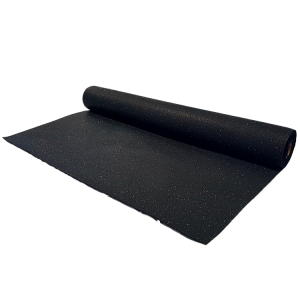 Strong flexible antifracture rubber underlayment for use when superior sound control is required for condos, hotels, commercial buildings and private homes. 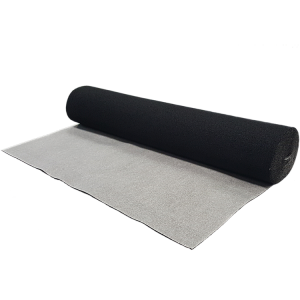 PROTECTOR 5mm is a high quality commercial and residential carpet cushion made for high traffic areas. This carpet cushion is for hotels, office buildings, condos, and private homes. It is also recommended to be used on your stairs under your runner. DURACUSHION 6 mm is a high quality commercial and residential carpet cushion made for high traffic areas. This carpet cushion is for hotels, office buildings, condos, and private homes. It is also recommended to be used on your stairs under your runner. DURALUX 7 mm is a high quality commercial and residential carpet cushion with a jute back. This carpet cushion is for hotels, office buildings, condos, and private homes. It is strongly recommended to use the Duralux under your high end area rugs. SUPER DURA 10 mm is a high quality residential carpet cushion for bedrooms, home theatre rooms, and hotel penthouses. The thickness of this product ensures a very luxurious feel when walking overtop. This is made for luxury homes and hotel suites. Ideal for quality brake pad manufacturing and for joint seal products, Dura offers its DURAMESH 3000 crumb rubber with the utmost quality and consistency. 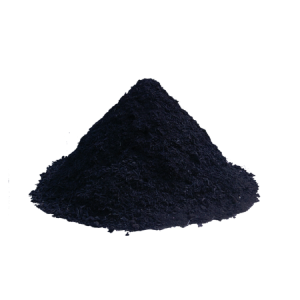 Choose the DURAMESH 3000, 100% vulcanized rubber from passenger and truck tires, free of metal, fabric, fiber, fluff and any other foreign matter.